Arsenal take on Bournemouth at the Emirates this weekend, and it’s fair to say that Arsene Wenger needs a win to avoid tension from rising further. After their heavy defeat to Liverpool and a poor end to the transfer window, the international break arguably came at the perfect time for the Gunners. However, it’s back to business this week and Wenger has delivered the latest fitness updates on key players ahead of Saturday’s visit from Eddie Howe’s side. As per the tweets seen below from freelance injury analyst Ben Dinnery, Alexis Sanchez, David Ospina and Aaron Ramsey were fully assessed on their return on Thursday and are expected to feature this weekend. Meanwhile, there was positive news on Jack Wilshere who is “getting stronger” according to the Arsenal boss, who also added that he doesn’t have any fresh injury concerns and so that suggests Alex Iwobi and Calum Chambers should be back in contention. 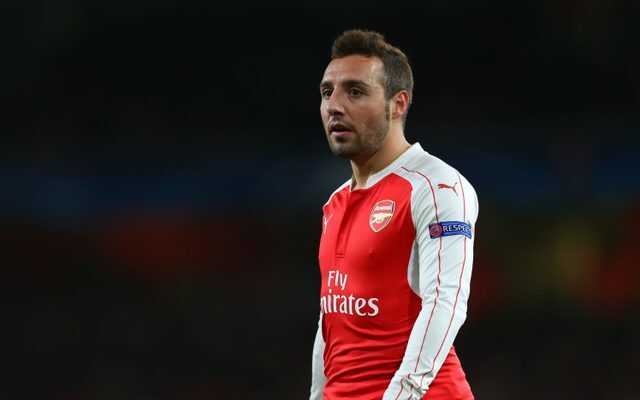 However, perhaps the biggest update to bring a smile to the faces of Arsenal supporters is news that Santi Cazorla is back in light training following an 11-month injury nightmare, as per The Daily Star. The Spanish midfielder hasn’t featured since last October after injuring his ankle, and although Wenger added that he doesn’t expect him back until after Christmas, it’s brilliant news to hear that Cazorla will be back playing football again with the second half of the season in mind. Arsenal without doubt miss something when he’s not in the side, and his quality in the middle will surely make a huge difference to them next year.